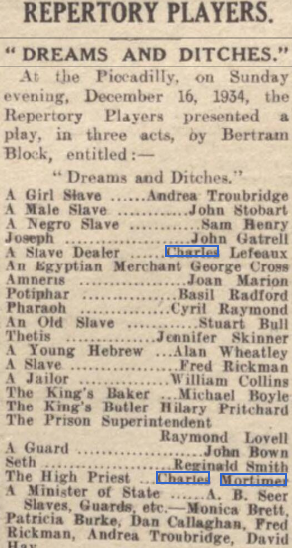 Charles Mortimer played a High Priest in "Dreams and Ditches" at the Piccadilly Theatre, London, on 16 December, 1934. This was a Green Room Rag production for theatrical charities. Also in the cast was Basil Radford. 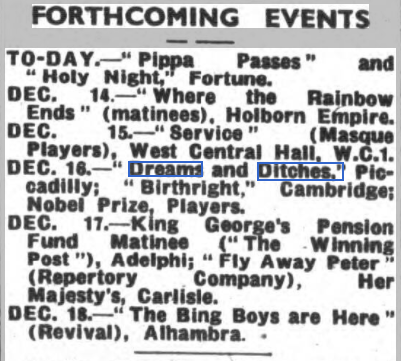 From The Era - Wednesday 12 December 1934.